The territory of the Sorrentine Peninsula is rich with many nature trails that in many cases conserve their ancient trial character. To these, the paths that extend from the territory of Vico Equense, Sorrento and the hilly locations of Colli di Fontanelle must be included. Along these trials, marked clearly and legibly, you can discover enchanting places rich in historical memories and vantage points, which are immersed in lush evergreen nature, typical of the Mediterranean. An excursion along these ancient paths, permits you to enjoy beautiful natural scenery, and relive the magic of long ago, through the archeological remains and religious or coastal towers that you find along the trail. 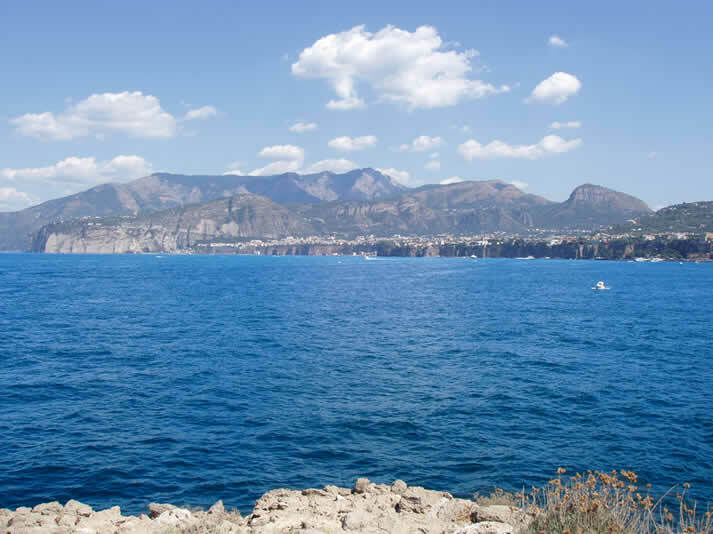 The choice of paths that we present you regarding all of the territory of the Sorrentine Peninsula will permit you to incorporate your holiday in Sorrento with marvelous moments of beauty of nature. We suggest that you study the maps before embarking on any journey that you can find in the local tourist offices. Moreover, remember to wear light and comfortable clothes, and shoes adapted to the type of terrain that you will encounter.